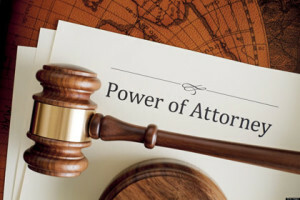 A Power of Attorney (POA) is a written authorization to represent or act on another’s behalf in private affairs, business, or some other legal matter, sometimes against the wishes of the authorizer. The person authorizing the other to act is the principal or grantor. The one authorized to act is the agent or attorney-in-fact. The person who creates a Power of Attorney, known as the grantor, can only do so when he or she has the requisite mental capacity. If someone is already incapacitated, it is not possible for that person to execute a valid power. If a person does not have the capacity to execute a Power of Attorney (and does not already have a durable Power of Attorney in place), often the only way for another party to act on their behalf is to have a court impose a Conservatorship or a Guardianship. A durable Power of Attorney (DPA) is a document that allows you (the principal) to give authority to another person (your agent or attorney-in-fact) to make financial and/or legal decisions and financial transactions on your behalf. It is called “durable” when, by its terms, it remains effective even if the principal becomes mentally incompetent. Any trusted adult, such as a spouse, relative or friend, can serve as attorney-in-fact. It is always a good idea to name at least one alternate attorney-in-fact to serve in the event that your first choice becomes disabled or dies. Your attorney-in-fact will have broad authority, and it is critical that the person you choose be trustworthy and sensitive to your wishes. The powers you give your attorney-in-fact can be as limited or as broad as you like, and can include the power to manage your property, to buy property, to invest, to contract, to engage in tax planning, to make gifts, and, very importantly, to plan for government benefits, such as Supplemental Security Income and Medi-Cal. The Health Care Power of Attorney gives the attorney-in-fact the authority to make health-care decisions for you (the grantor), up to and including terminating care and life support. The grantor can typically modify or restrict the powers of the agent to make end-of-life decisions. Your agent also has the right to examine your medical records and to consent to their disclosure unless you limit this right in your Power of Attorney. Are Powers of Attorney Permanent? The powers you give your agent will continue to exist for your entire lifetime, unless you state that the Power of Attorney will last for a shorter period of time or unless you otherwise terminate the Power of Attorney. The powers you give your agent in the Power of Attorney will continue to exist even if you can no longer make your own decisions. You can amend or change a Power of Attorney only by executing a new Power of Attorney or by executing an amendment through the same formalities as an original. You have the right to revoke or terminate a Power of Attorney at any time, so long as you are competent. The Ficara Law Office Can Help You! Call us today (760) 365-7000 to make an appointment. Find out more about other Legal Services available from the Ficara Law Office. Just a little note to thank you for drawing up a new “will” for straighten out my affairs I needed it done as soon as possible. I enjoyed it all to learn about how important a New Will was needed. Thanks again and God bless.